What does a low cost recycling and sorting system look like? How much does a recycling and sorting system cost? How much material do I need to start recycling and sorting? How do I start a recycling facility? How many people need to work at a lower cost recycling center? What is positive and negative sorting? How much material can I recover from a typical sorting system and how much is this material worth? What is the best order to sort a “containers stream”? How are aluminum cans removed from a stream? How is glass removed from a stream? What happens when something gets jammed, does the entire system shut down? How much energy does a typical system consume during a day, week, month, year? Does every system work well outside during all seasons? Can equipment be moved to another location or are they locked in place? What is a Ballistic Separator? How do I buy used recycling equipment? Serving the Southeast in the recycling and recovery industries, MetalTech is aligned with several specialty equipment manufacturers enabling us to provide concept, detail and manufacturing engineering, as well as, build and install services. From entry-level to full scale sorting, GK can supply the right system for your material separation process. IMI is an industry leader in providing both permanent magnets and electromagnets for work holding, lifting, fixturing, conveying and magnetic separation. 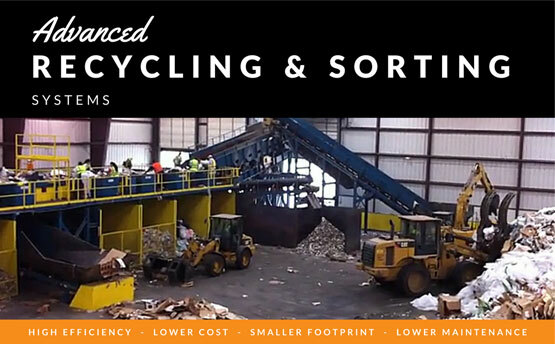 Specializing in complete recycling and sorting systems, as well as, their individual components. These systems can automatically separate and sort the following recyclables: Fiber including Old Corrugated Cardboard (OCC); Newsprint (ONP); Mixed Paper / Office Paper (MP or OP); Containers Including Aluminum Cans, Ferrous / Steel Cans, PET, HDPE Color / Natural, Mixed Plastics, Glass; Wood including dimensional lumber treated and untreated; Ferrous and Non-Ferrous Metals; Rocks and Dirt; Concrete / Bricks; and Plastic. Tinsley Company provides sales representation in Texas, Oklahoma, Arkansas and Louisiana.